The storms, they are a-comin’! As fall comes in at full blast, complete with dropping temperatures and rising wind speeds, it’s time to evaluate your storm door. (And if you don’t have a storm door, it’s time to consider getting one!) Storm doors protect your exterior doors from weather damage and, in turn, protect your home with extra insulation and security. 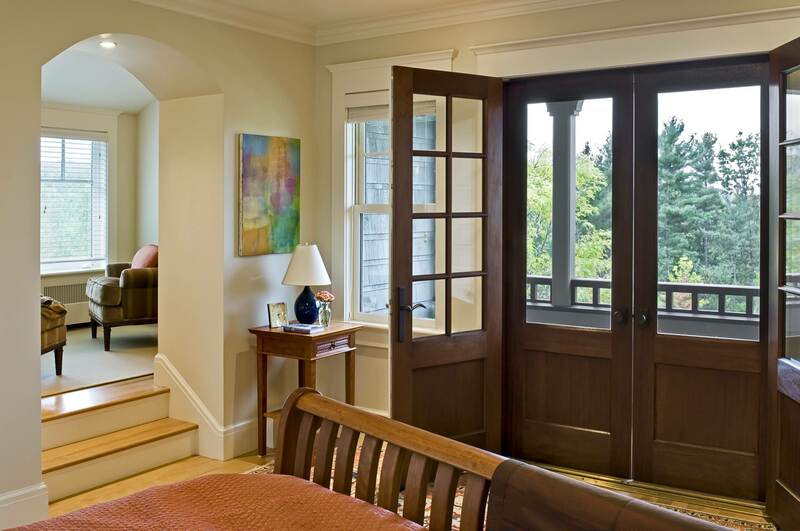 Most front and entry doors are installed with extra space to allow installation of a storm or screen door. A storm door is made of glass (with the added benefit of letting natural light into your entry), while a screen door is made of – surprise! – screens to allow air flow into your home without admitting insects and dust. Many storm doors feature a combination of glass and screens to provide your home with the best of both. 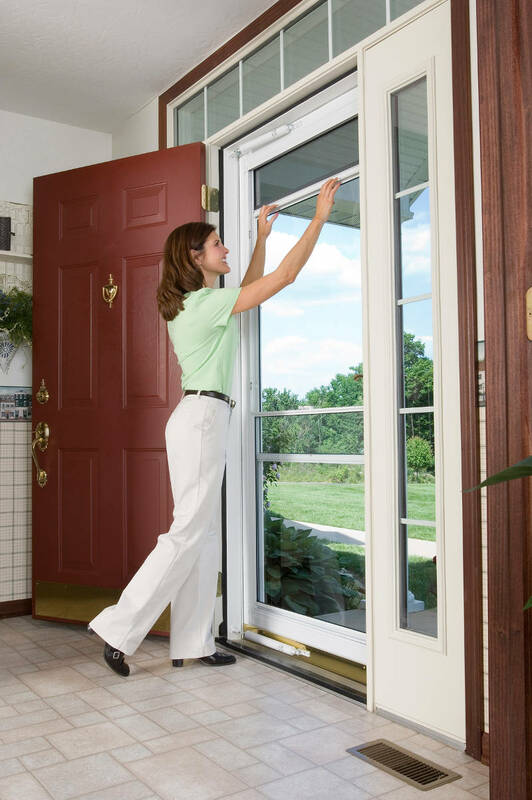 Wondering how to choose a storm door? This guide will get you through it. Size is fairly straightforward, as long as your door is not irregularly shaped or sized. Storm doors are available in all standard door sizes – 30″, 32″, 34″, and 36″ – with custom sizes available but more expensive and harder to find. Double-door kits are available as well. Before shopping for a door, measure the height and width of your door from the exterior frame, not the inner door jamb, for accurate sizing. Be sure to measure the width at different points – top, middle, and bottom – for the best fit. 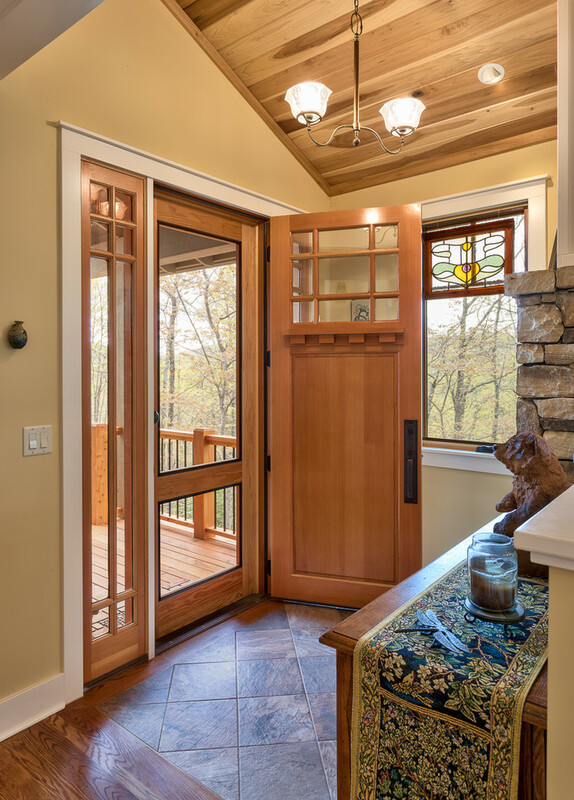 Most storm doors may be hung to open left-swinging or right-swinging, but be sure that the door you choose can be installed either way or according to your preference as some are right or left only. Choose your door based on your climate and daily usage. 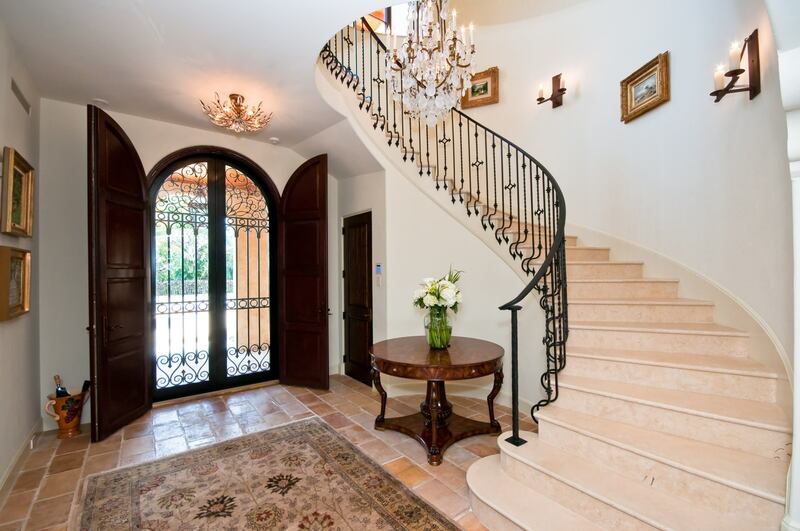 Entry by Albert, Righter & Tittmann Architects, Inc. 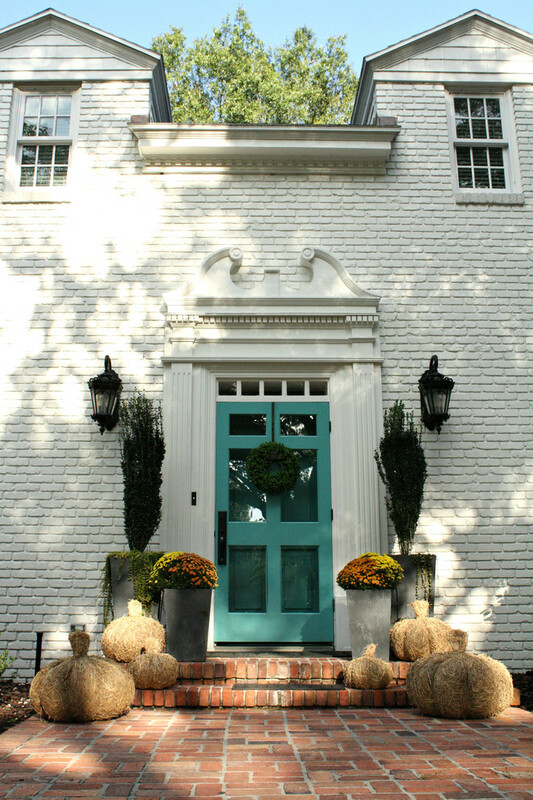 Door frames are available in a huge variety of colors to coordinate with most exterior colors. Caution: if you plan on painting your storm door, check that it won’t void your warranty before altering it. 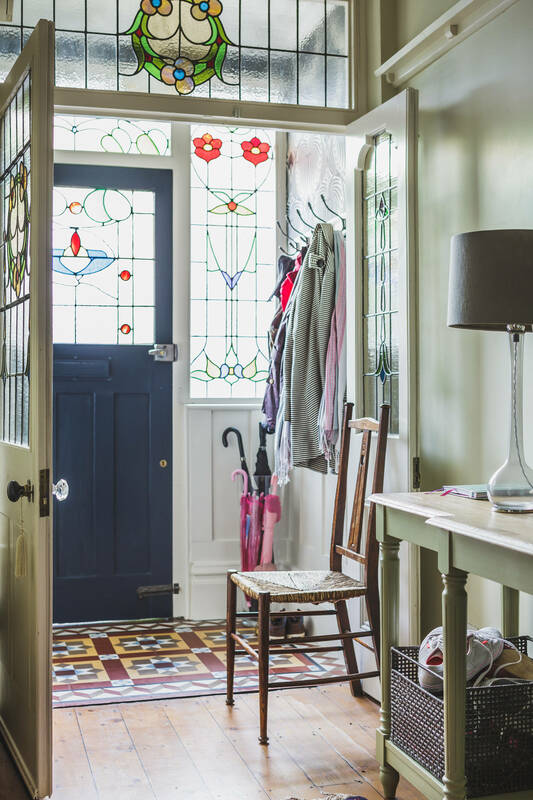 Storm doors are no longer ugly and clunky; they’re often sleek and even attractive, adding to your home’s curb appeal (or, at the very least, not detracting from it). Some even have decorative glass for additional interest. 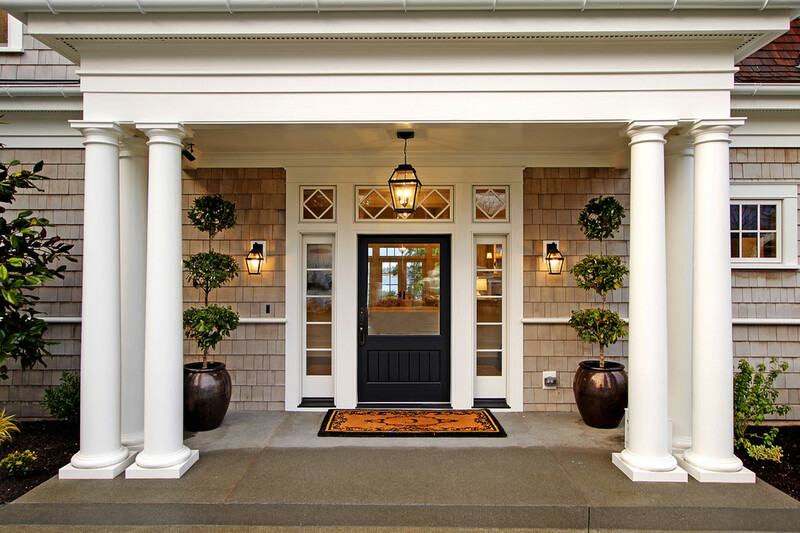 Consider your needs and weather patterns before deciding on a door configuration. Some storm doors are completely glass (“full view”), while screen doors are entirely screens, but many are a combination of both. The door may also be made of the frame material with smaller sections of glass or screen (“half view”). Some doors feature removable glass and screen panels that can be exchanged in different seasons; others have integrated screens that are either fixed (with the glass panels moving up and down, much like a standard window) or retractable (where the screen is hidden in the top of the door for an unobstructed view when the screen is not in use). Always check your door frame for rot or damage before installing; your storm door needs a stable frame for effective installation. 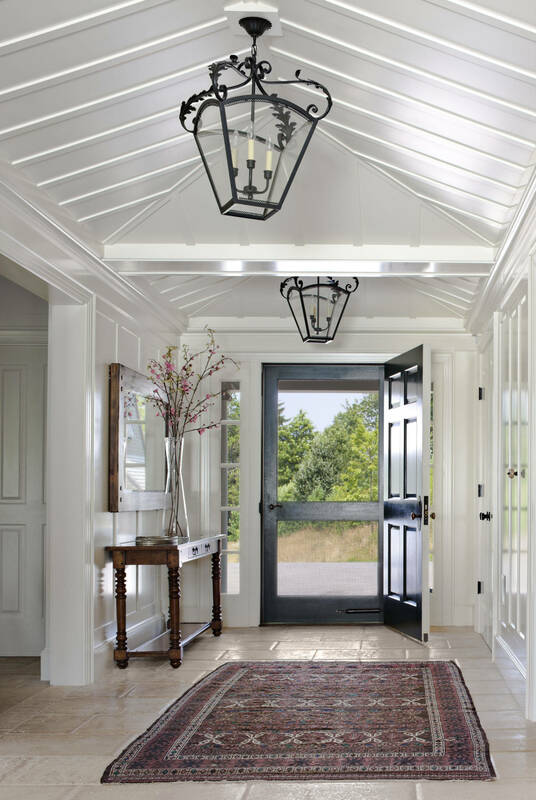 If your door is in a location that receives direct sunlight, a glass door can create a greenhouse-like effect, heating your entry point when the main door is open. In extreme heat, this can also cause the door to warp. Select treated glass (like Low-E high performance glass) and swap glass for screens from spring to fall. If you prefer to keep the windows open for ventilation in certain seasons, consider a door with retractable screens or interchangeable panels. Some storm doors feature blinds “sandwiched” between the two layers of glass for light-blocking capabilities. To keep out dirt, be sure that the door has a “sweep,” one or more flexible strip on the bottom of the door. If you need an extra measure of security, choose a heavy-duty door and/or one with shatterproof or security glass, a protective grille, and a secure lock or locking system. Check hinges before buying to ensure that the quality is adequate, especially for high-traffic doors. 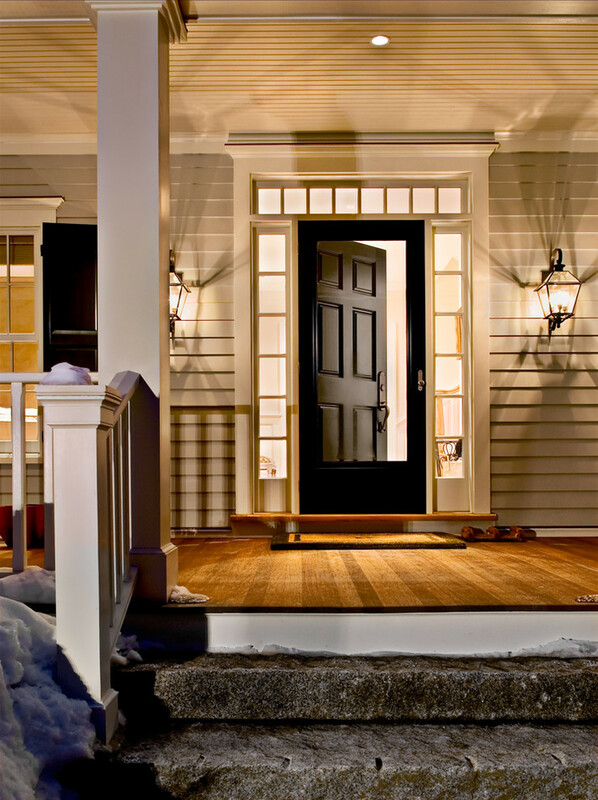 Most storm doors feature a stop or pneumatic closer to keep the door from opening too far or slamming shut too fast. Many have a sliding washer (often foot-operated for convenience) to keep the door open if you’re moving heavy items or making several trips. Always close the door completely when not in use to prevent wind damage. If your pets come and go independently, some storm doors include a pet door. Storm doors are fairly simple to install as they often come as a kit. If you’re reasonably handy, it’s a simple DIY project. Kudos to you for responsibly protecting your door and your home! Enjoy your new storm door. The weather has been getting pretty crazy, and I was thinking about getting some extra protection. I had no idea that getting a storm door also adds an extra layer of insulation. Since Winter is just around the corner, this would be a nice little benefit. You wrote that modern day storm doors are now sleek and even attractive, and can add to your home’s curb appeal. 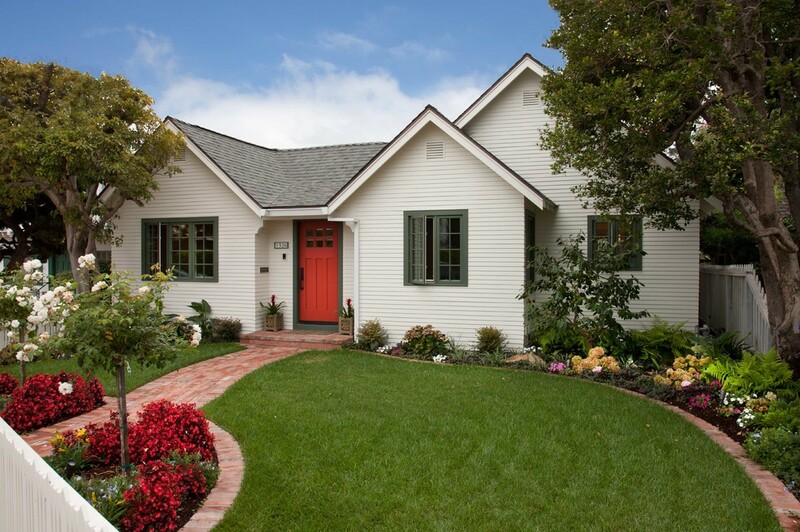 I’ve been thinking about adding a storm door, as I would love to have that extra layer of security. We’ll have to find a storm door that is charming and stylistically similar to the rest of my home, so that it can compliment my home.